With these four downloadable audio guides, Visitors can take a tour of the most representative places of Hellin, discovering the heritage of the different civilizations that have passed through the city, which has survived to this day. 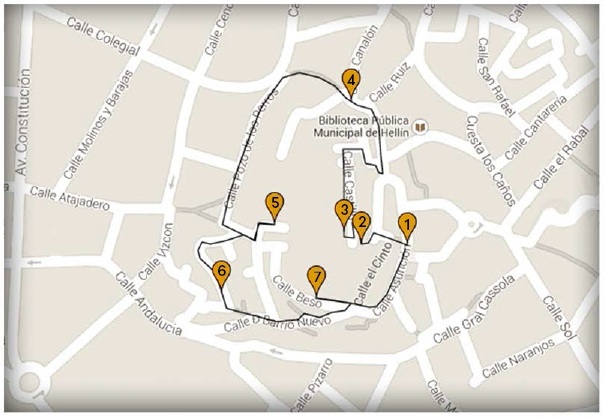 This simple and comfortable way you can go, accompanied by the audioguide, the route of the "Houses with Memory”, where you will learn interesting details about the stately homes of this city, its architecture and history, and the famous people who inhabited. 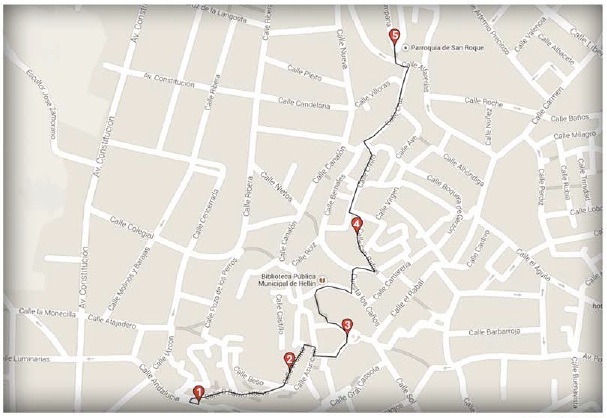 Route that will not leave indifferent curiosities and construction of these houses, the stories of the wealthiest families in those days and renowned people who lived there. 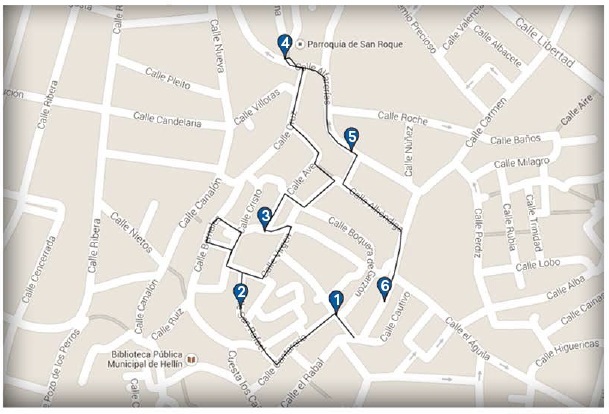 Route "The Arab Footprint"Offers a wonderful walk along narrow streets and squares of the historic center, where Islamic influence is seen in the urban layout and the type of housing. The remains of the Almohad castle, located on top of the neighborhood that gives its name, offers wonderful views of the city. An interesting way to learn about the origins of Hellin and its evolution over the centuries. 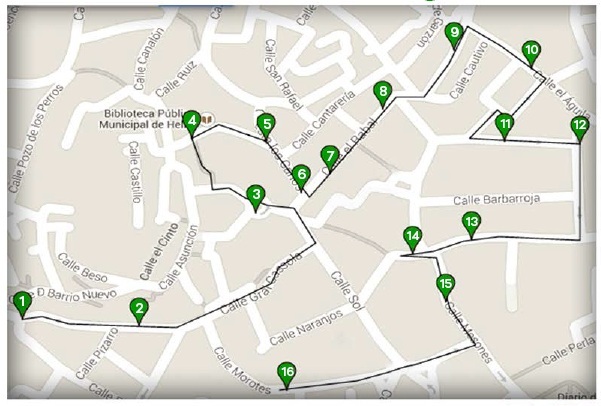 Furthermore, “The Shadow of Potters"It is a route that will take you through the neighborhoods of San Rafael and San Roque, knowing the history and legends of its streets and churches and, above all, the important pottery activity that was developed centuries ago and has left this ceramic samples at the Regional Museum and in certain places Hellin, as you can see in the floor of the chapel of the Virgin of the Rosary. Finally, on the route "Museums of Silence"You can find architectural details of churches that make up the old town of Hellin and important sculptures that house. These images, enhancing the processions of Holy Week, not only attract attention by their beauty and devotion awaken, but also by the unique stories and anecdotes that keep. All tours are a glimpse into the past and present of Hellin, that highlights the historical and cultural heritage as well as showing the customs and traditions of its people, that have persisted over time and have Hellin a town that has a lot to offer, meet and visit.